such as sound, video, graphics or GPS data. In augmented reality, the variation between the virtual world and the real world is almost zilch. Some sophisticated technologies are employed to pull out the graphical elements from the digital environment and project them into the real world. Augmented reality technology is on its own to enter educational fields. Many researchers have already been started to implement this technology in education systems. Let’s learn briefly about it. According to Paul Hamilton - Primary ICT Coordinator at Matthew Flinders Anglican College, Creator of the Science AR App, there are many reasons for introducing augmented reality in education. 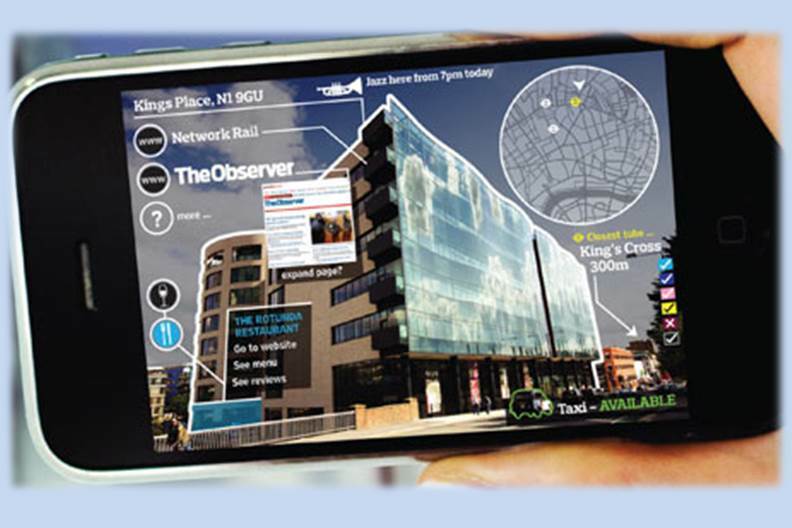 Augmented Reality links knowledge/content and visual imagery. It effectively utilizes mobile devices. It harnesses the concept of inquiry based learning. It gets bums off seats. To provide you with detailed information, we’ve come up with 5 great Augmented Reality iPad Apps. Keep on reading. Anatomy 4D takes you on an extraordinary journey through the human body. Visually stunning and completely interactive augmented reality technology is a perfect tool for 21st century education. Anatomy 4D is a great tool to use in the classroom. While interacting with Anatomy 4D, we can see how different body systems relate to each other. You can switch between male and female. You can also change the intensity of the scan while inspecting the body part. It helps you understand complex information about the human body with ease and speed. Sun Seeker provides a flat view compass and an augmented reality camera 3-D view showing the solar path, its hour intervals, its winter and summer solstice paths, rise and set times and more and a MAP VIEW shows the solar direction for each daylight hour. The augmented reality view shows the sun’s position as well as its path during the day. Red line shows the maximum path the sun follows through the day, yellow line shows the current path and the blue line is the winter minimum path it follows. This app is very useful for many people like photographers, real estate buyers, architects, students and sun lovers. Science AR is an augmented reality app for schools. It makes Science AR posters come alive. You need to download and print the posters from Paul Hamilton’s website. After printingthose high resolution graphic PDFs, you can use this app. Start the Science AR application, place your iPad in front of the poster, and see the magic. It starts playing an animated educational video. Take the iPad to different parts of the poster, it recognizes and explains you about the concept interactively. Using Science AR, children learn with fun and interest. Virtual History ROMA prepares you for a revolutionary 3D journey in the ancient world. Swipe through history, touch the past and learn in a very effective and real world environment. You can view the places, buildings, weapons and much more which almost gives you a real world experience. Learn history through amazing galleries. You can colorize monuments with your finger tip. The new digital book becomes a sort of telescope that can be used to examine a three-dimensional reconstruction of Imperial Rome. Future editions will present virtual reconstructions of other cities and many other imaginary scenarios. Theodolite HD is an advanced augmented reality app which serves as a compass, GPS, map, zoom camera (photo & movie), rangefinder, and two-axis inclinometer. It superimposes real time information about position, altitude, bearing, range, and inclination of the iPad’s live camera image, like an electronic viewfinder. The uses are endless, and the app is great for hiking, boating, hunting, golf, sports, sightseeing, navigation, and finding your way around. Theodolite is used extensively by surveyors, geologists, architects, engineers, competitive sportsmen, military personnel, and search and rescue workers around the world. These are the few educational iPad apps with Augmented Reality technology. We’d like to know more apps like these. If you know, please share with us in the comment box.